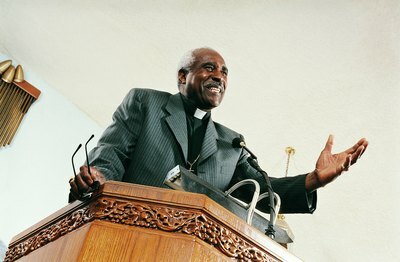 A pastor is an integral part of a church community. When his anniversary comes, it’s a nice gesture to recognize it. Marking the day is a way of paying homage and acknowledging the things he does on a daily basis. Major anniversaries such as a the 10th, 25th or even a 50th year at the church calls for a bigger celebration and dinner. But every anniversary could be noted with a themed event. This anniversary theme takes stock of the entire church, according to Daniel Sherman who published “Pastor Appreciation Workbook 2010.” The “Looking Back ... Reaching Forward” theme helps people honor and remember the duties that the pastor performed in the past year. Sherman notes that in order to honor the church’s ministry, members must implement their ideas. This is a good time to review the church’s vision and goals for the next year. Sherman also recommends the “Get Small to Grow Big” anniversary theme that focuses on children’s ministries. This is a good time for church members to think about expanding their youth activities, including possibly adding a children’s choir, a kid’s mid-week program and creating a larger Sunday school. 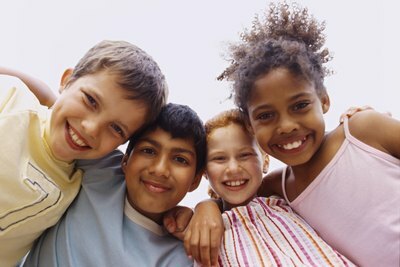 Invite children’s parents to a brown-bag lunch to help brainstorm. Maybe some parents are newer members who aren’t active in the church. This is a good way to make them feel included, and perhaps they’d be interested in joining committees. This involves the pastor on a more personal level. Have a dinner simply themed “Thank You.” Invite back past members of the church who moved to a different town. Allow a handful of former and present congregants to speak on how the pastor affected their lives. Collect additional memories and publish them in a book. This celebration works better with a pastor who’s been at the church a long time.